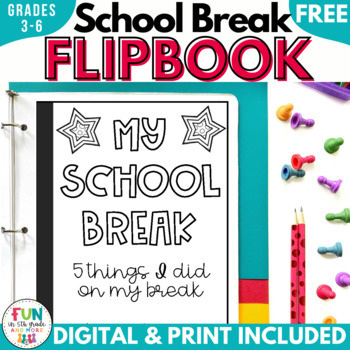 Use this flipbook to have students write about what they during any break from school. 5 pages for writing about activities with a place to draw pictures. ☺ Check out all of my flip books by clicking here.